Sequined leopard coat by Dolce & Gabbana; Rick Owens/Daphne Guinness silver necklace and beige cape. 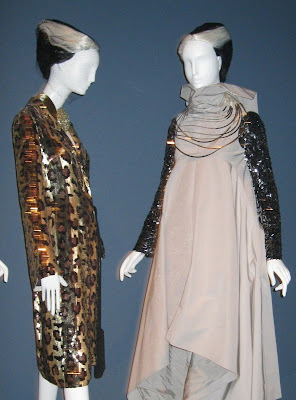 If want to wear leopard this fall in a way that’s sure to get everyone’s attention, it’s gotta sparkle, it’s gotta shine, so this week’s Daphne Wednesdays features a sequined Dolce & Gabbana leopard coat from the “Exoticism” section of Daphne Guinness, now on view at The Museum at FIT. You’d definitely win any style smackdown if you wore this. Meow meow! I love not only the two-tone hair (I must paint a platinum stripe in my own hair asap) but also the netting across the face. In a recent profile in The New Yorker Daphne noted, “What’s great is tying a bit of net around your face, and everything looks like it’s in Super 8. It gives a bit of grain to the world.” I have to try this myself sometime. A few people really liked the Chanel jacket next to the Valentino suit I featured last week so I thought I’d include it as well. 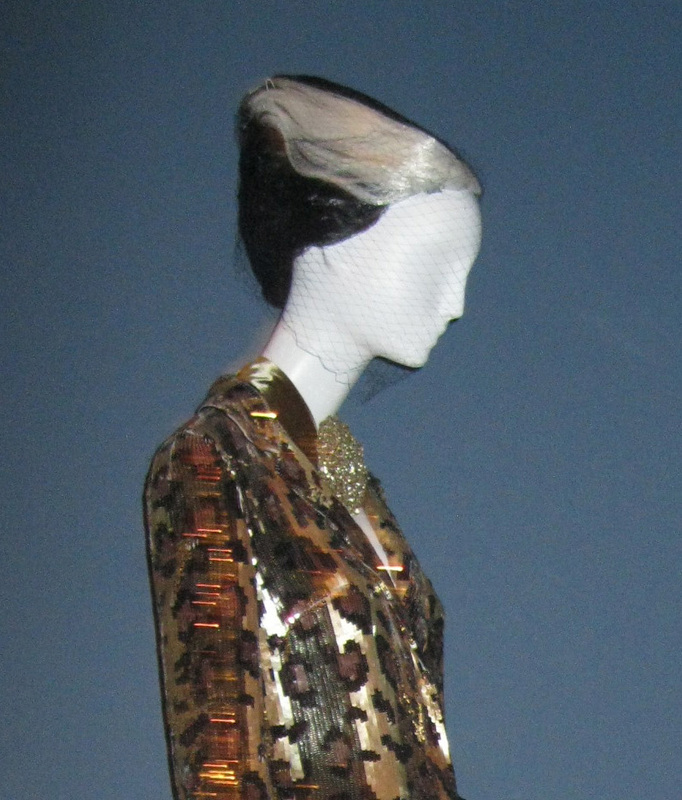 Note the elongated sleeves that extend past the mannequin’s hands, as well as the fur edges, with are edged themselves with pearl beads and square sequins. Divine! Would love to visit these exhibits with you, Jill...how much fun that would be!! 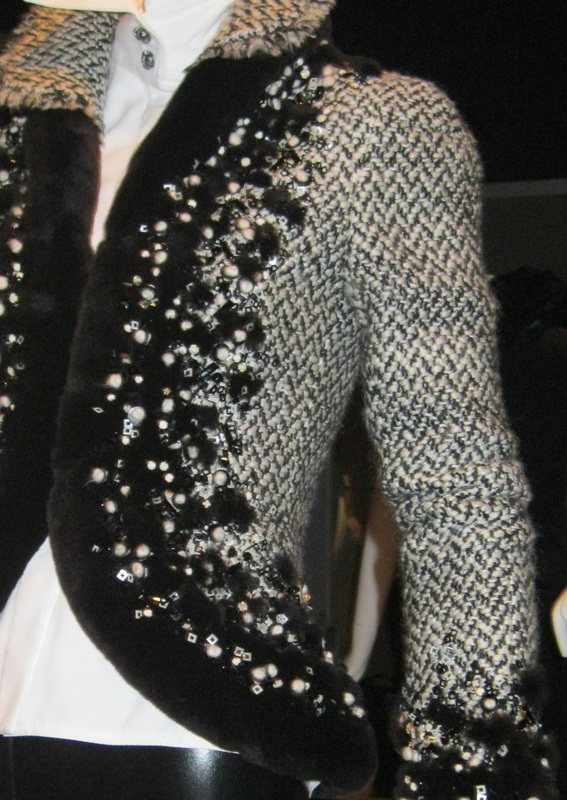 Thanks for sharing...I still like the Chanel jacket..
Oh how these details makes me swoon! 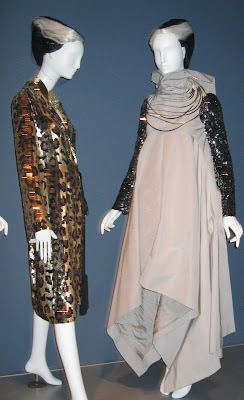 I love the idea of sleeves below the hands. It feels so decadent. netting--all I can think of is Norma Desmond in Sunset blvd hiding her age....but this way to wear a net would give you a whole new perspective! 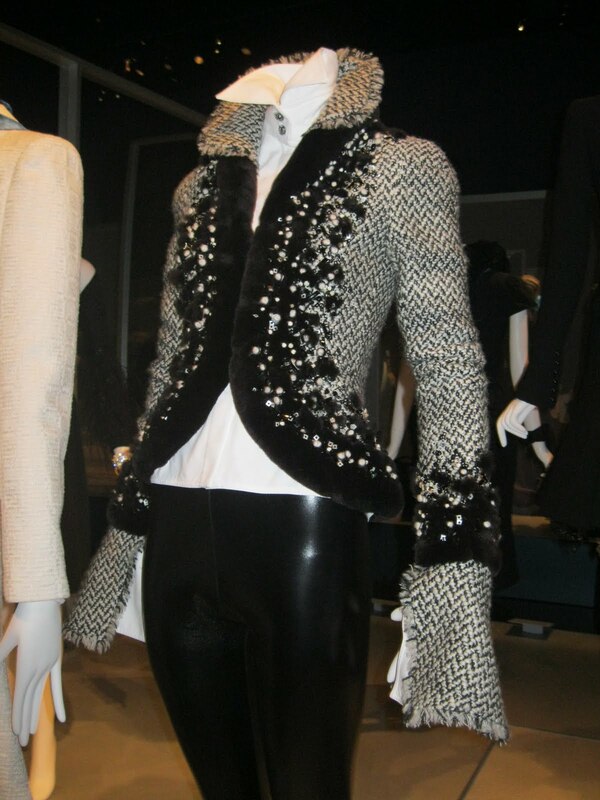 And that Chanel jacket..are those unfinished hems around the sleeves and collar? Wow, I WANT that Chanel jacket!! It is fabulous! !